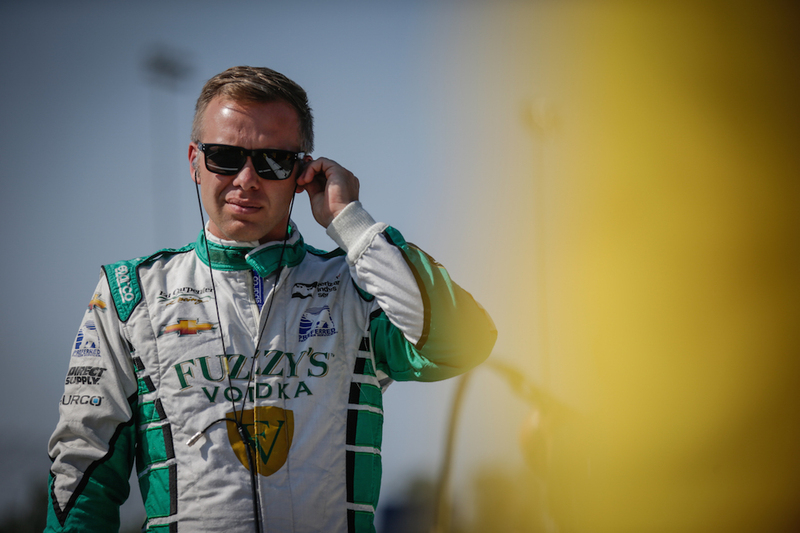 Ed Carpenter Racing (ECR) have confirmed that former F2 driver Jordan King will contest the 2018 Verizon IndyCar Series for the team. British driver King will share the #20 Fuzzy’s Ultra Premium Vodka Chevrolet with eponymous team owner Carpenter. Carpenter will continue to run an oval-only program with King taking over driving duties at street and road course events. 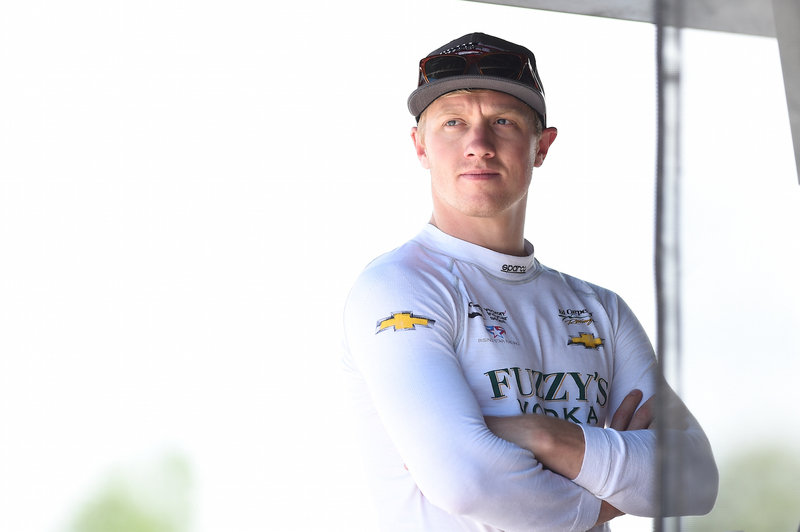 The announcement completed ECR’s line-up for the 2018 IndyCar season following earlier confirmation that Spencer Pigot would race full time this year. American Pigot graduates from sharing Carpenters cars to a full season, replacing JR Hildebrand who left the team after a single season in 2017. The decision to run the British rookie took many in the IndyCar paddock by surprise. Former F1 driver Esteban Gutierrez was widely expected to partner with Ed Carpenter this season. Confirmation of King at ECR is likely to intensify speculation that Mexican Gutierrez will secure the final full time ride on the 2018 grid with Dale Coyne Racing. A move to Dale Coyne for Gutierrez would all but end the chances of American Conor Daly – currently appearing in CBS’ Amazing Race – finding a full or part time ride in IndyCar this season.